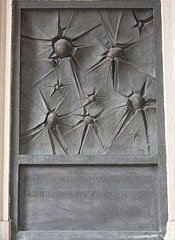 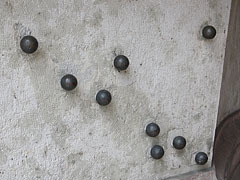 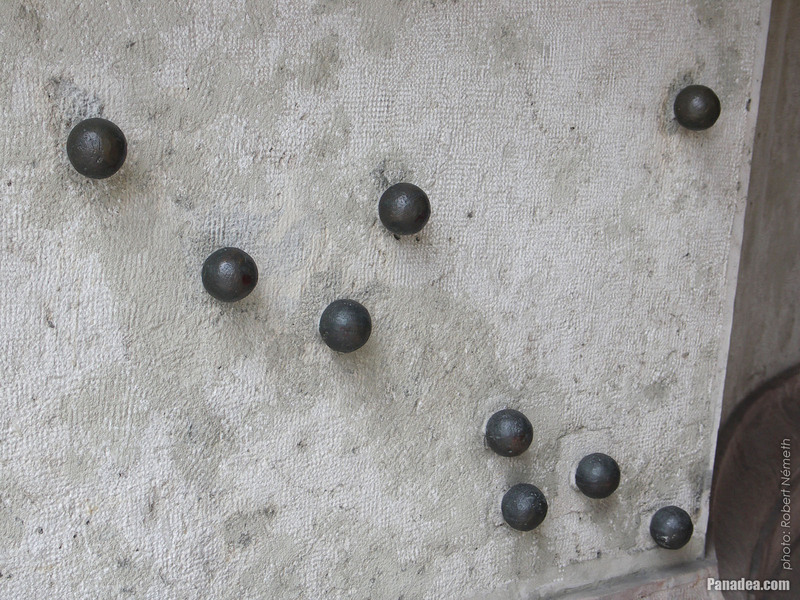 Created by József Somogyi in 1948. 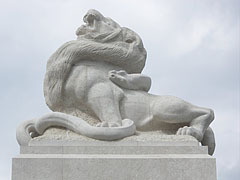 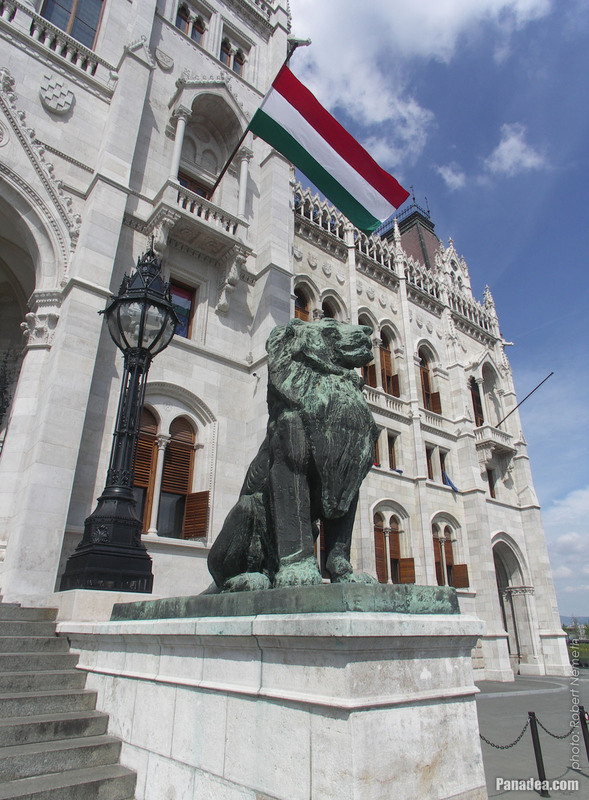 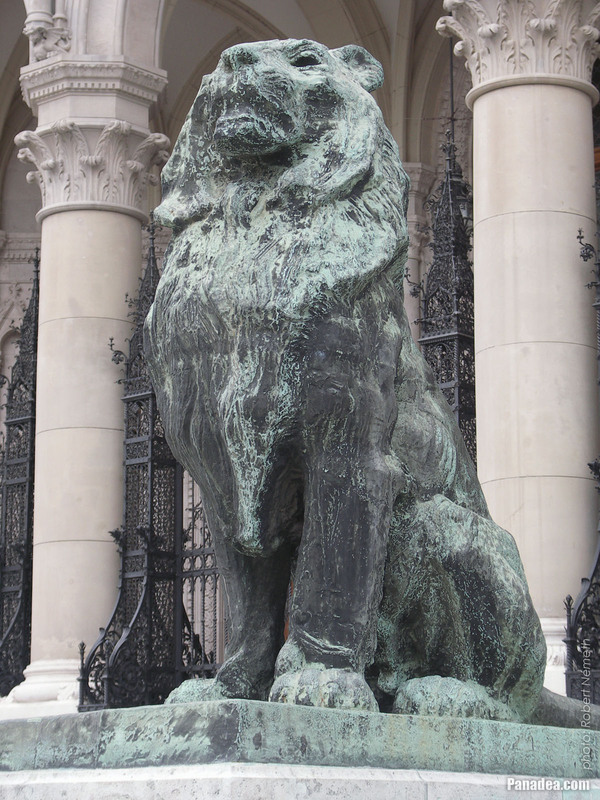 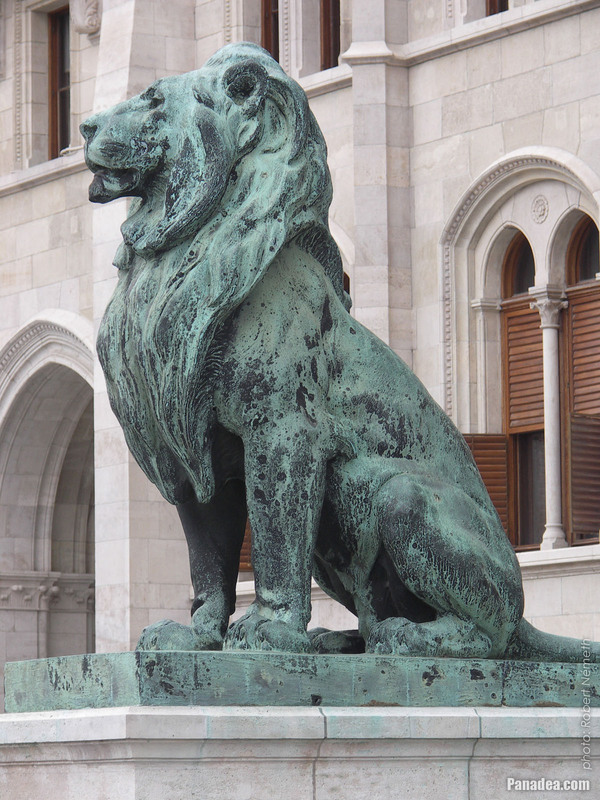 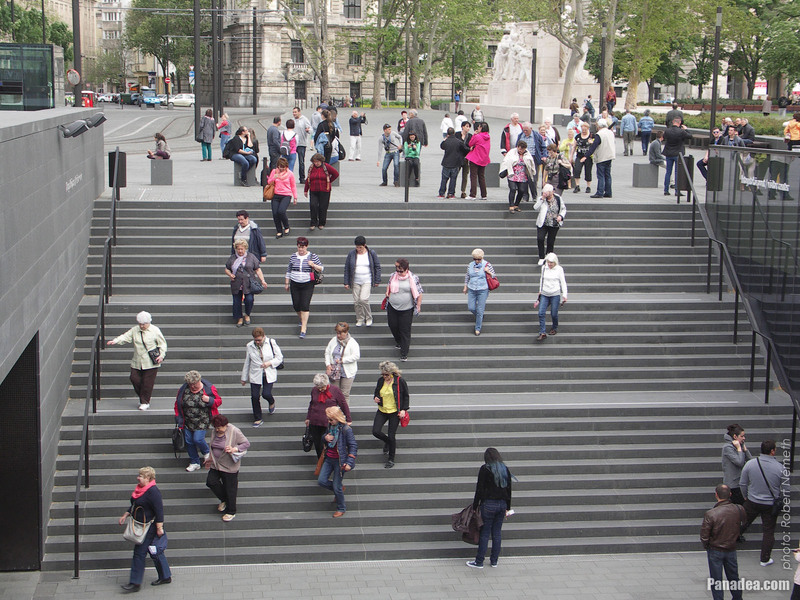 On 8 June 2015 the two lion statues were temporarily removed from here for a few-month restoration. 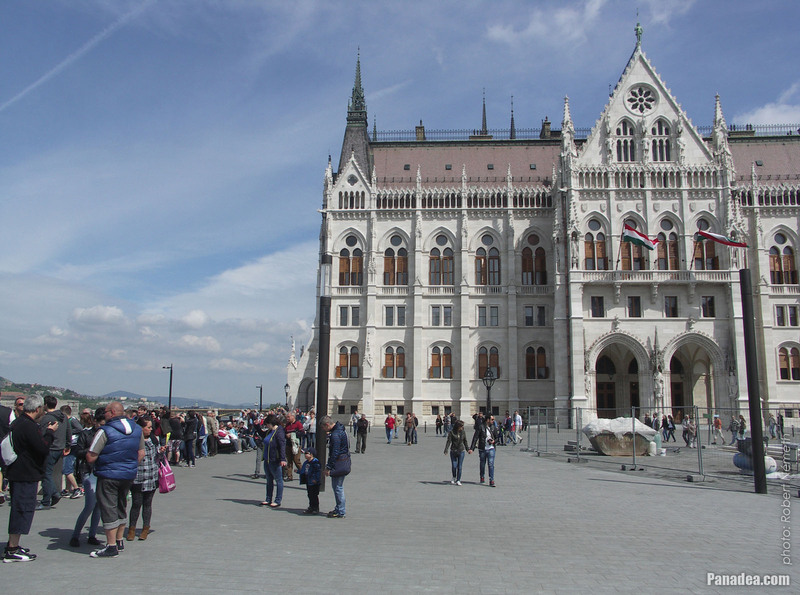 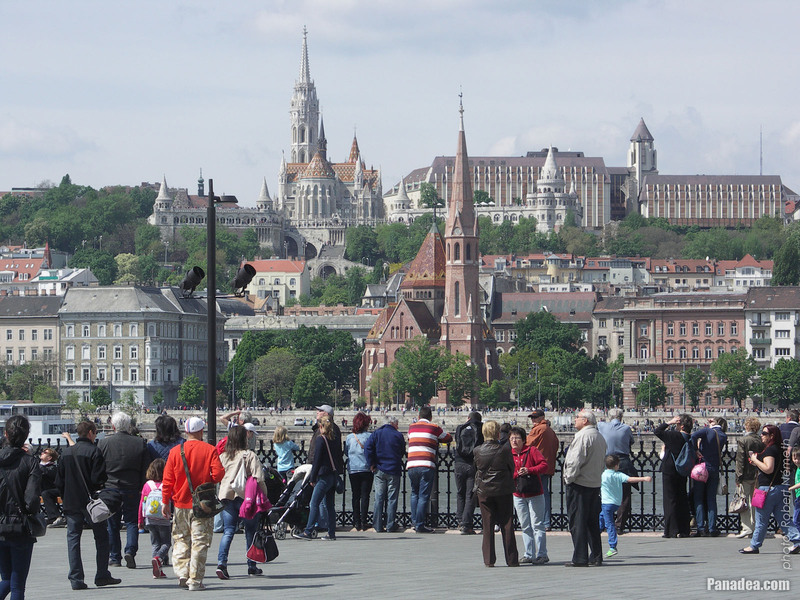 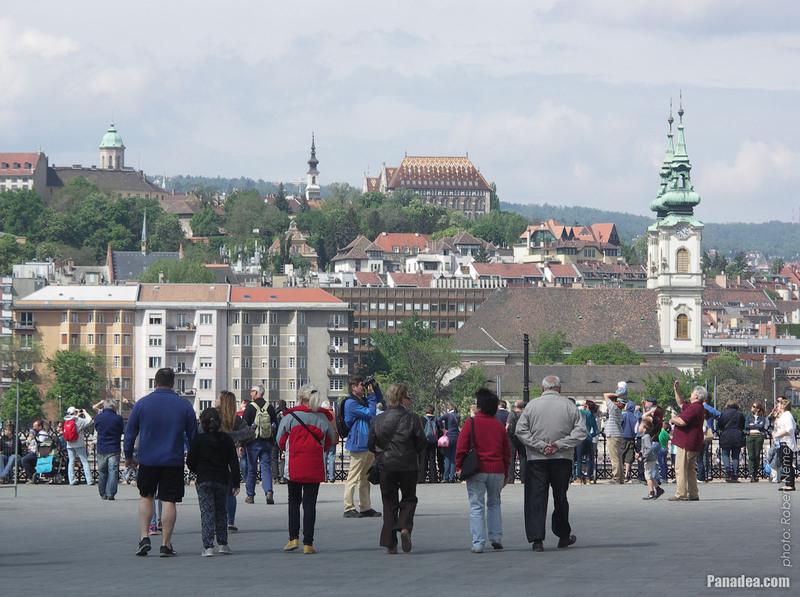 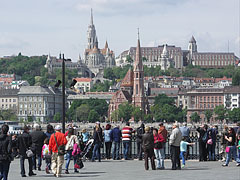 On the other side of the river it is the Szilágyi Dezső Square Reformed (Protestant) Church, as well as on the Buda Castle Hill the Matthias Church, the Fisherman's Bastion and the Hotel Hilton Budapest luxury hotel can be seen. 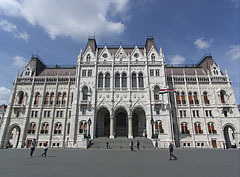 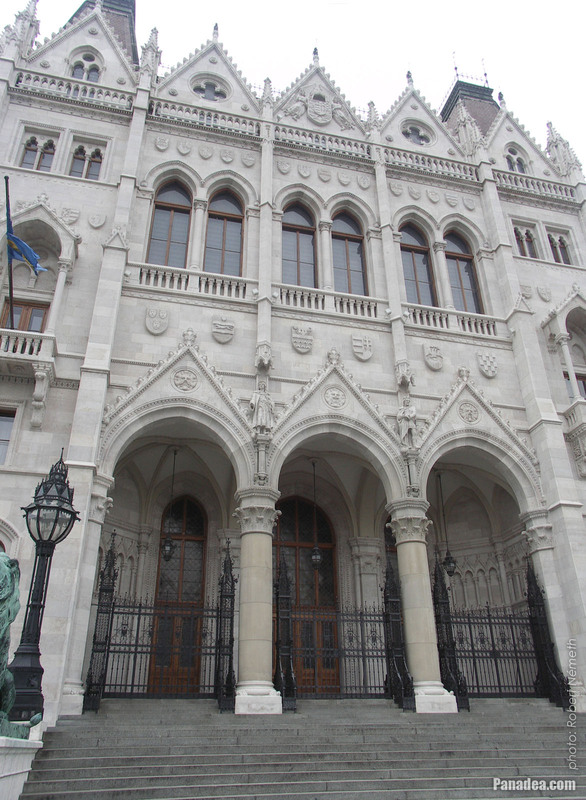 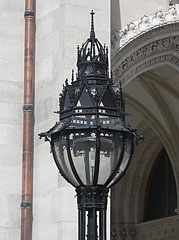 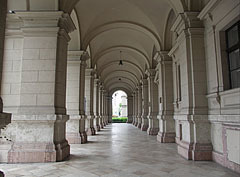 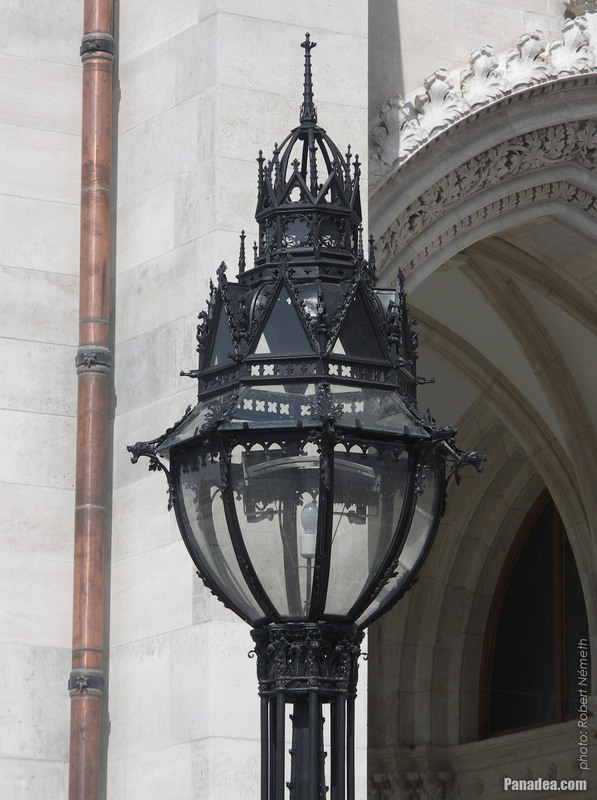 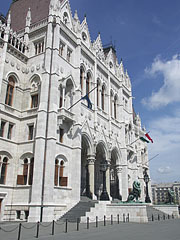 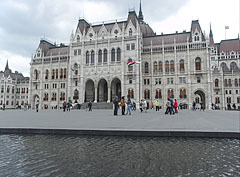 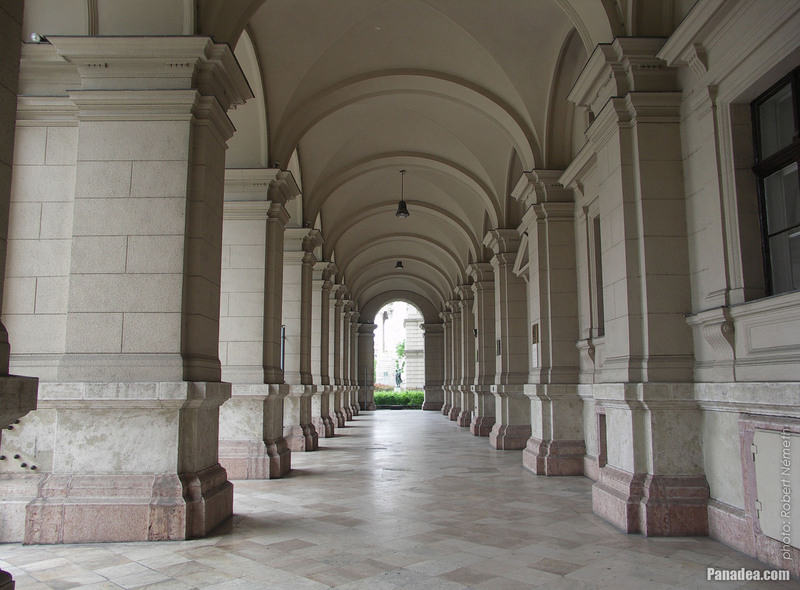 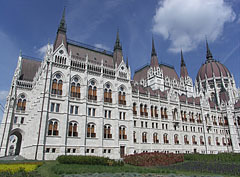 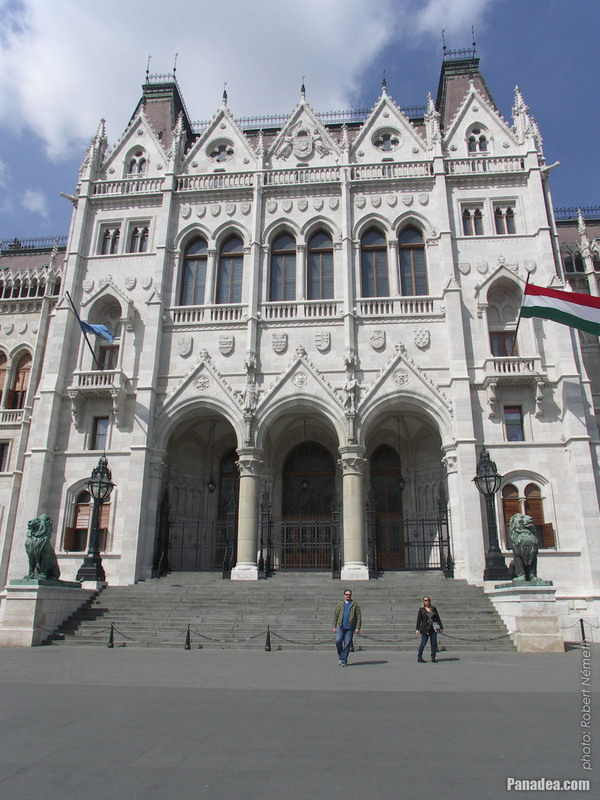 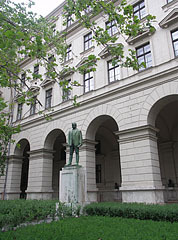 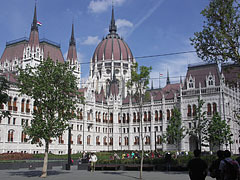 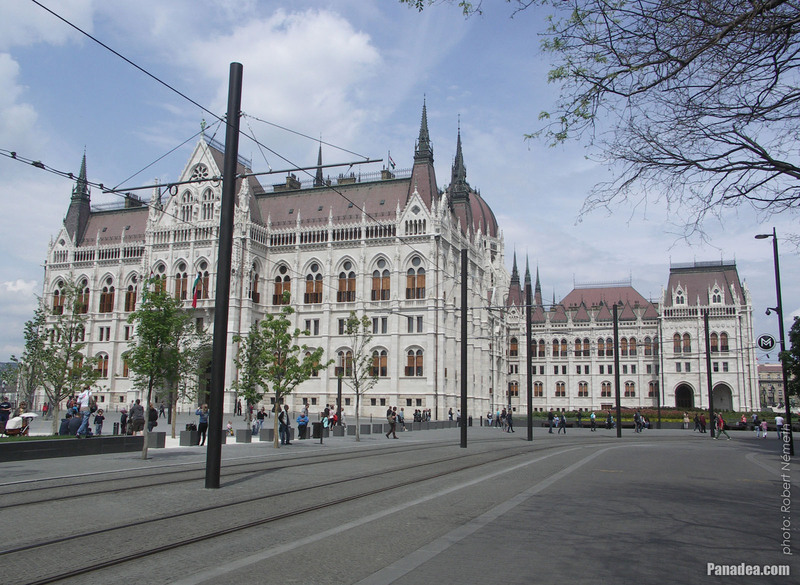 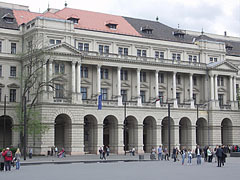 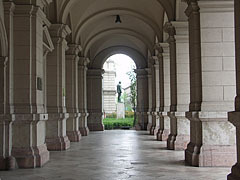 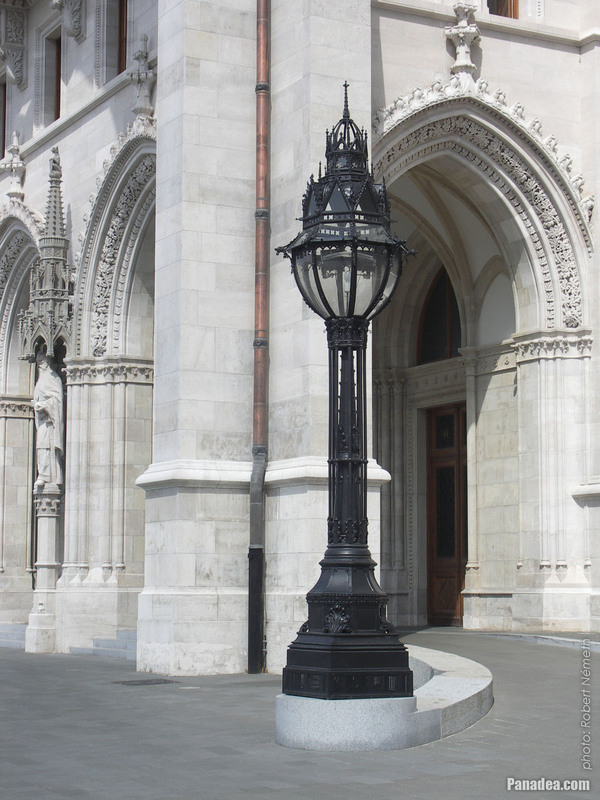 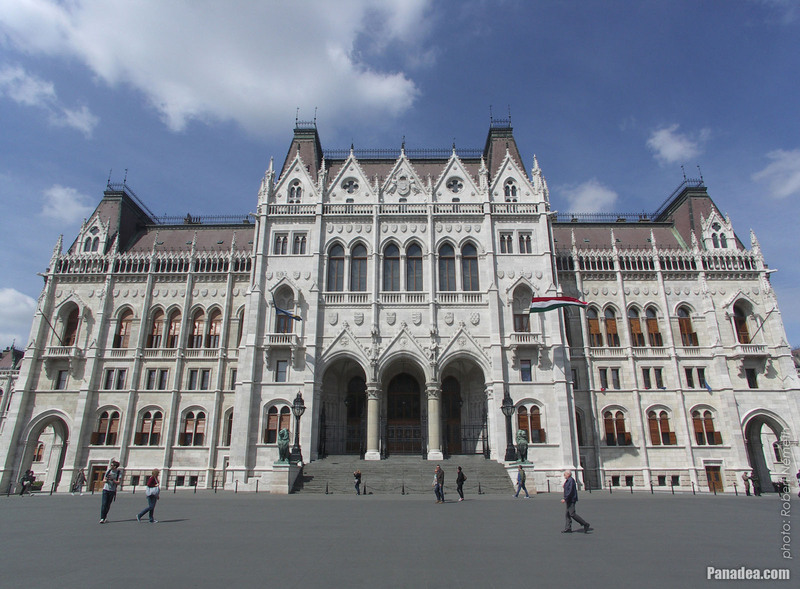 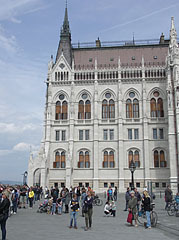 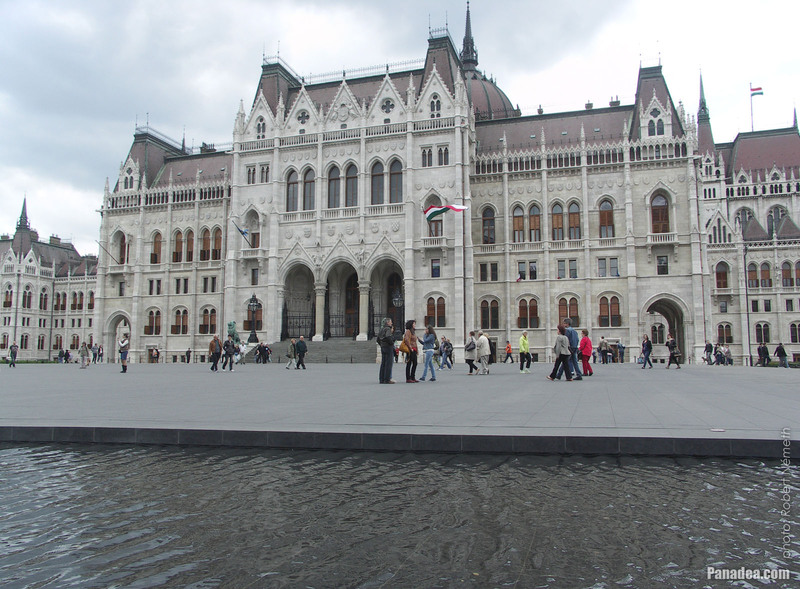 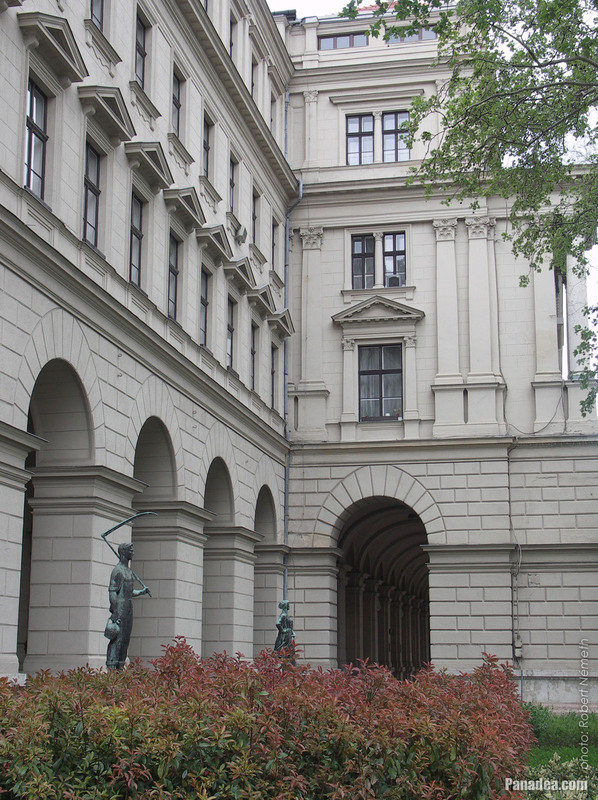 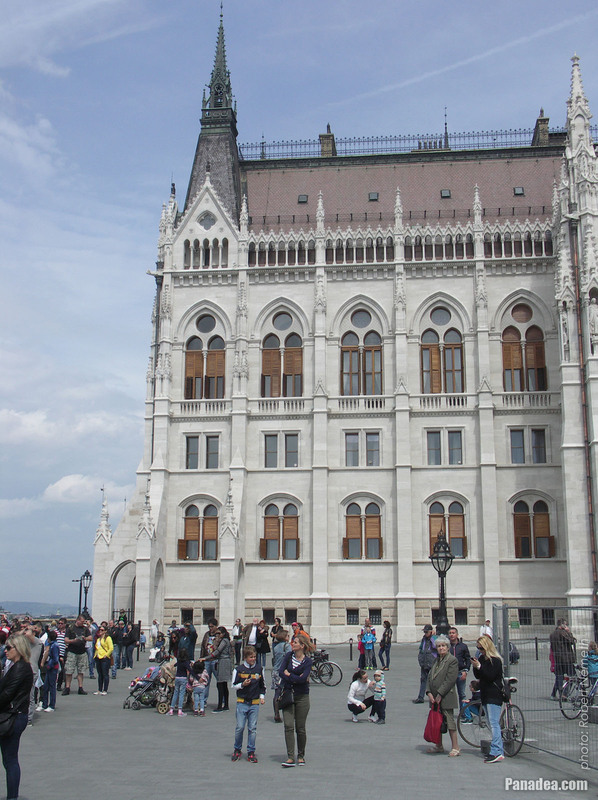 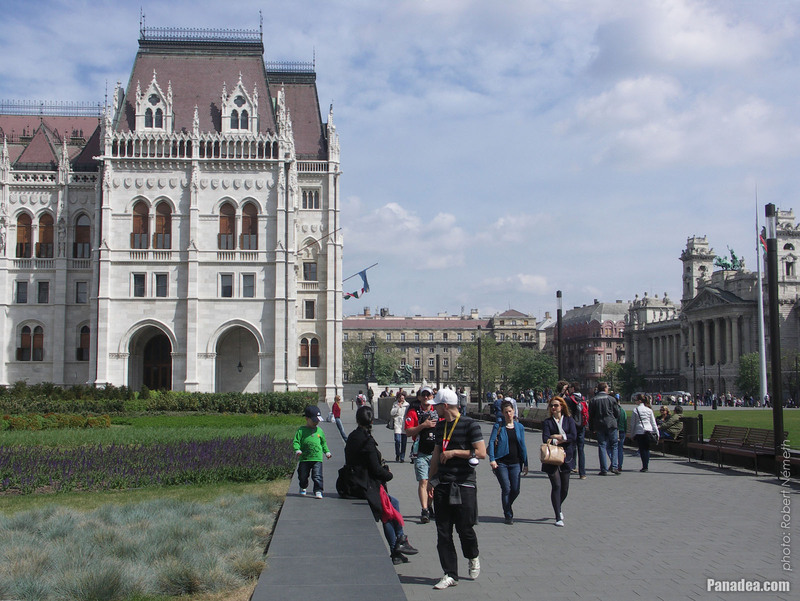 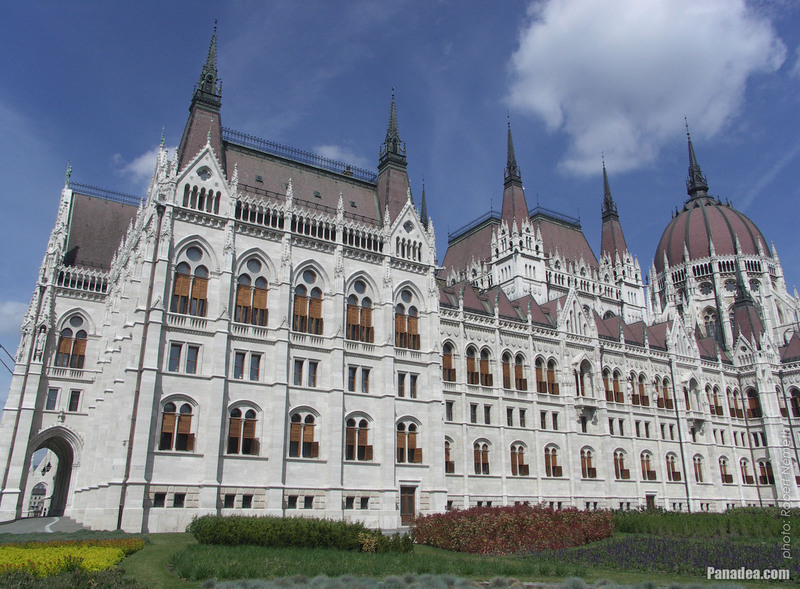 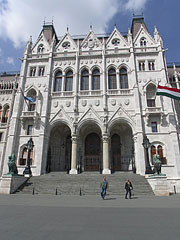 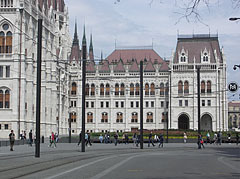 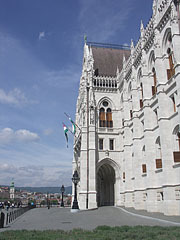 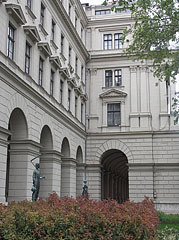 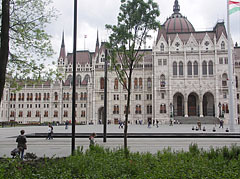 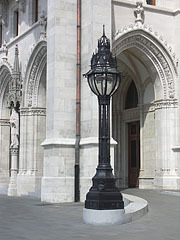 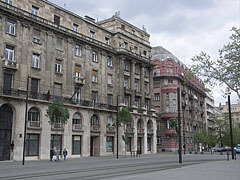 It was built between 1893-1896 by the plans of Alajos Hauszmann architect, originally for the Supreme Court (Curia or "Kúria") and the Office of Prosecutor General ("Főügyészség"). 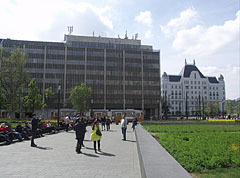 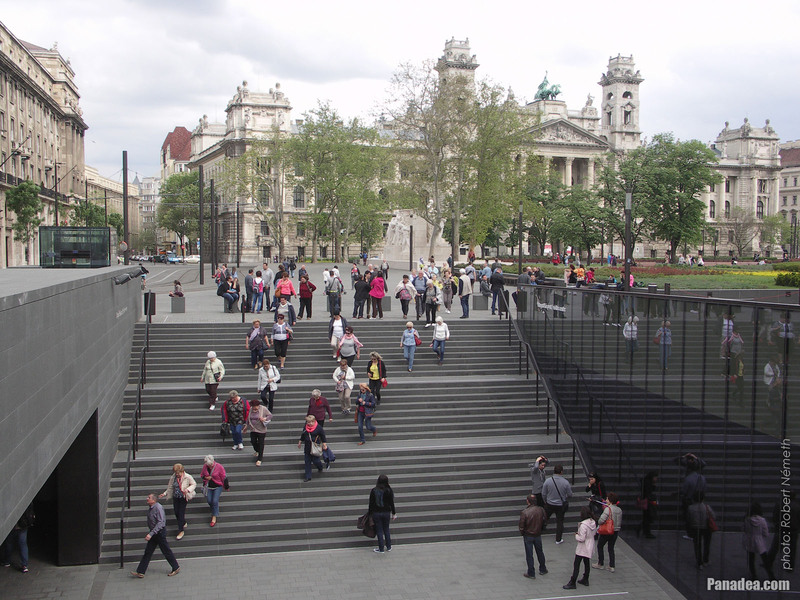 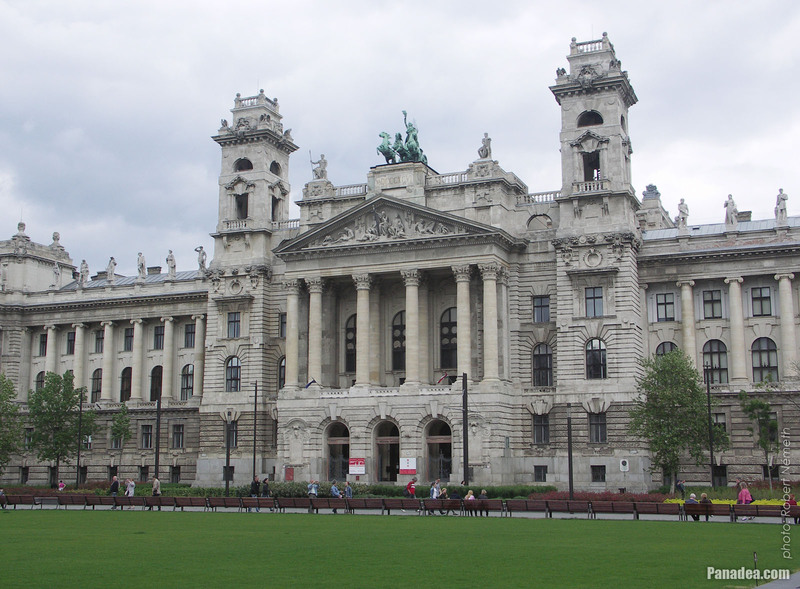 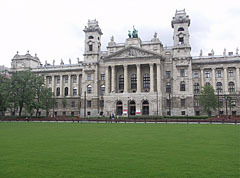 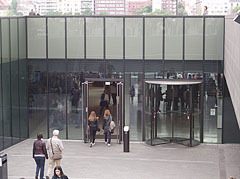 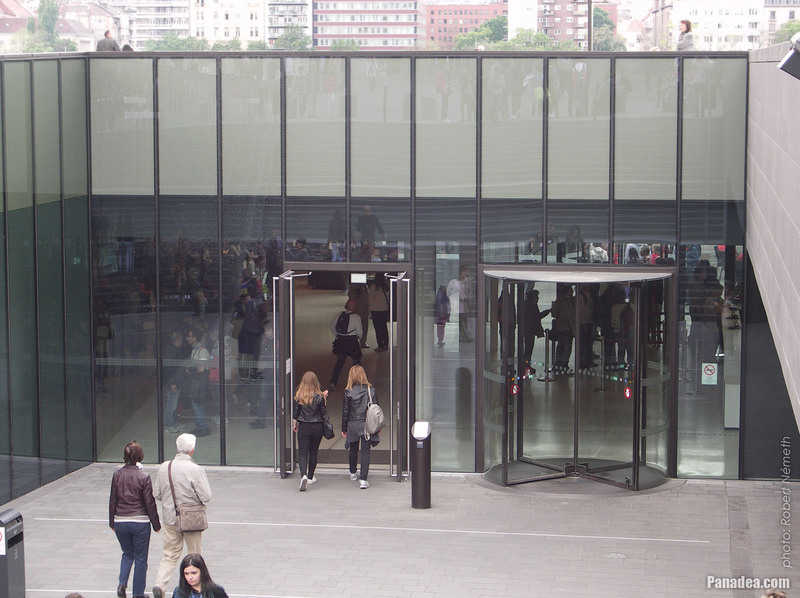 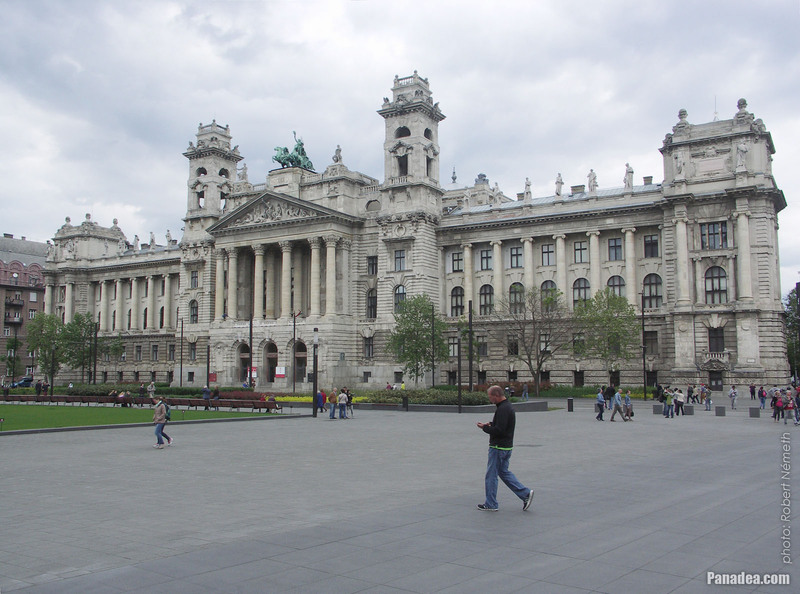 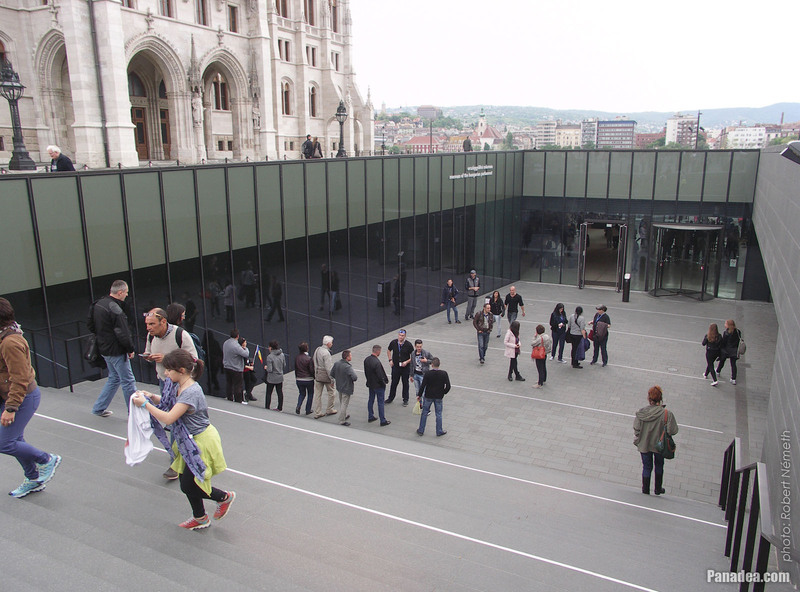 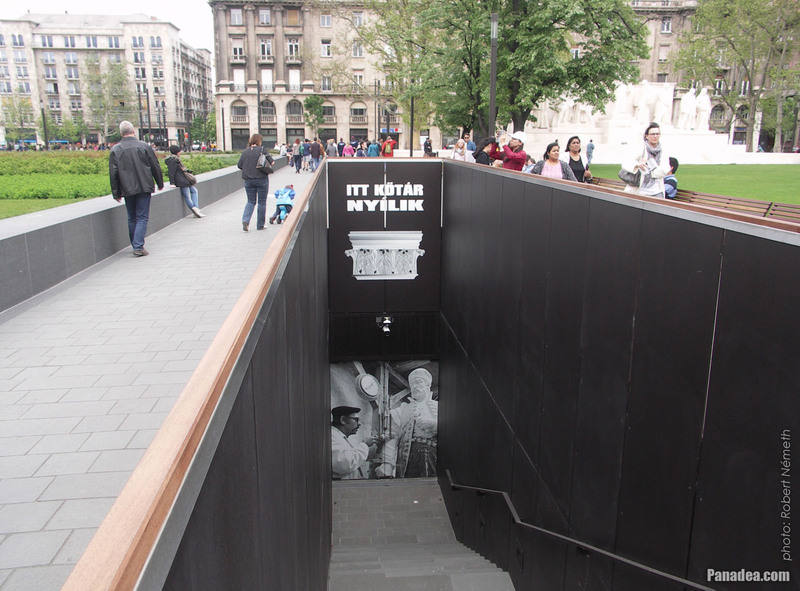 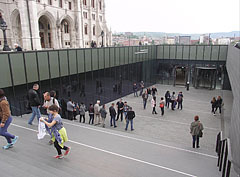 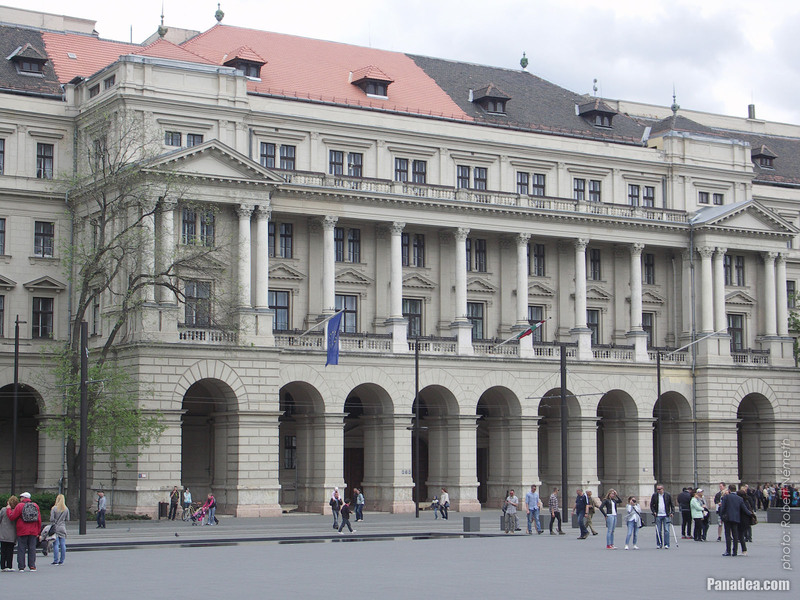 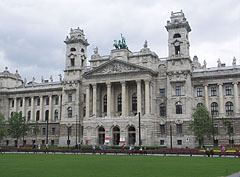 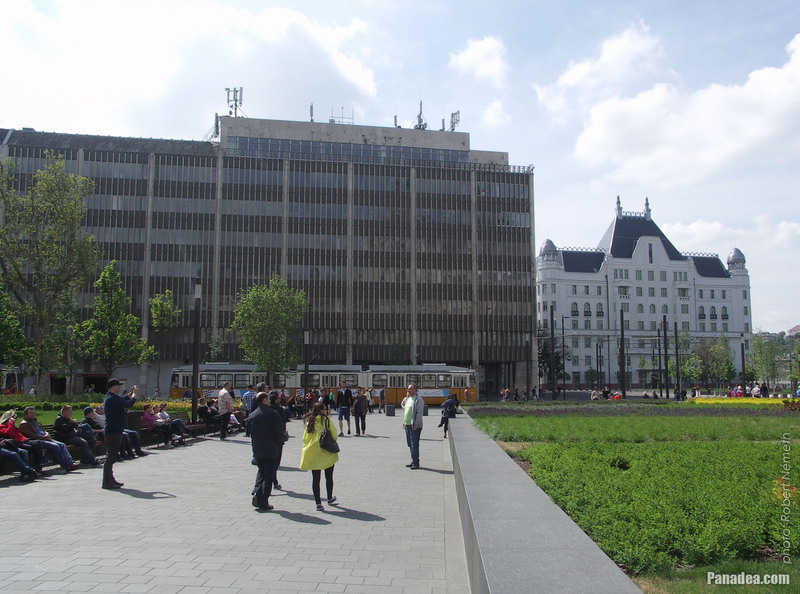 However, after the World War II it was used for other functions: Hungarian Labor Movement Museum from 1949 onwards, National Gallery between 1957-1972 and Museum of Ethnography since 1973. 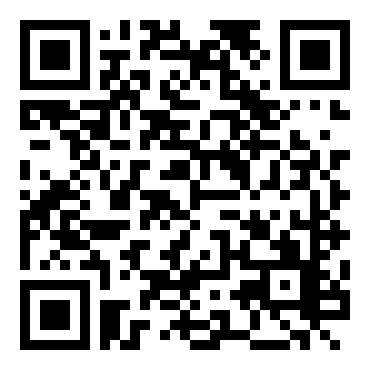 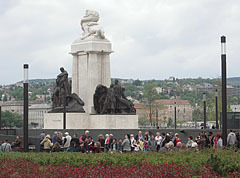 Now it is planned to restore its original function. 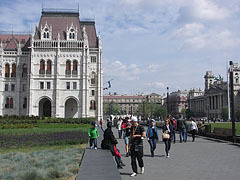 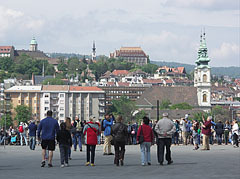 On the right the St. Anne's Parish Church ("Szent Anna-plébániatemplom") on the Batthyány Square can be seen. 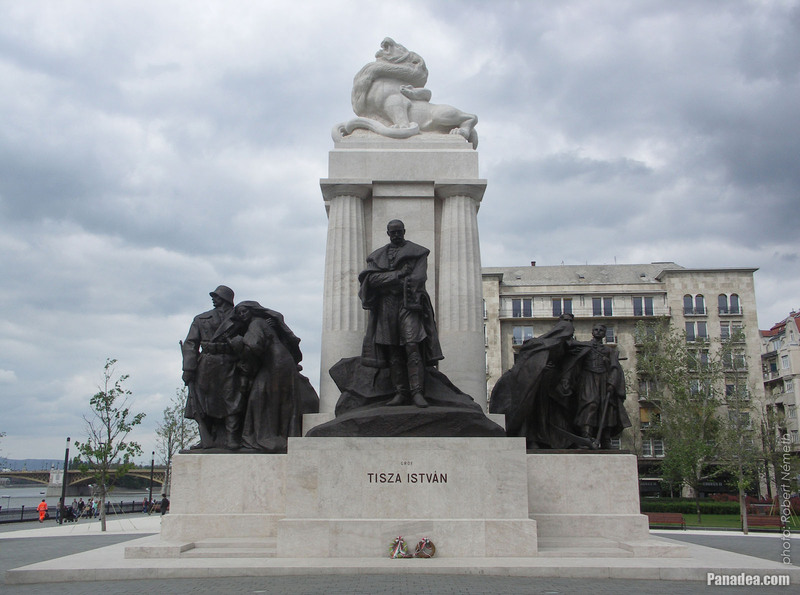 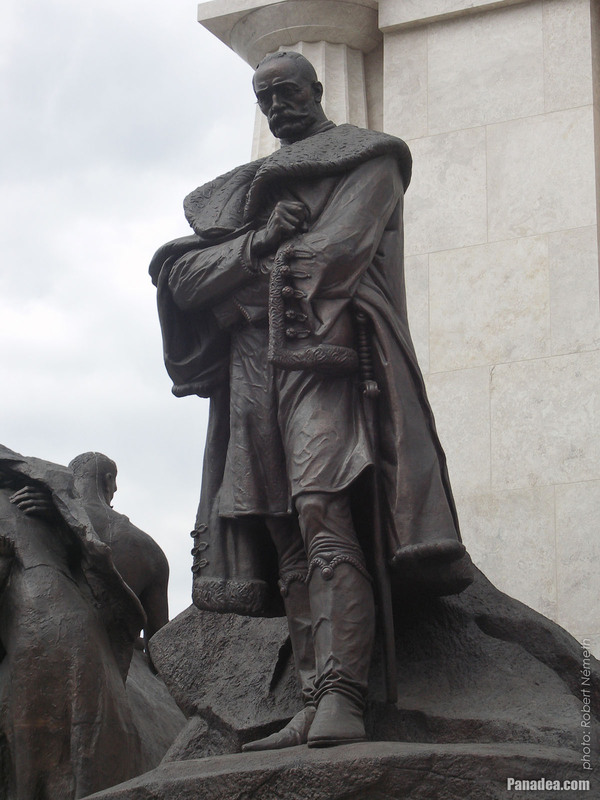 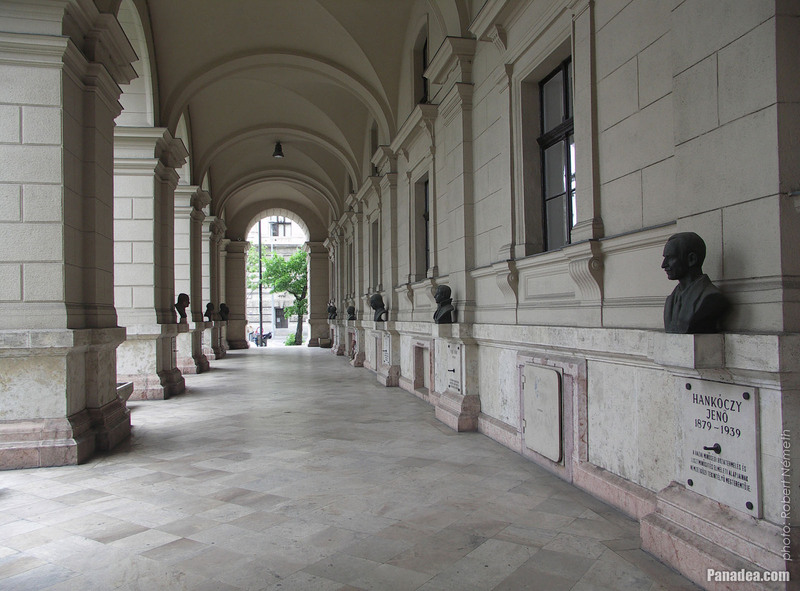 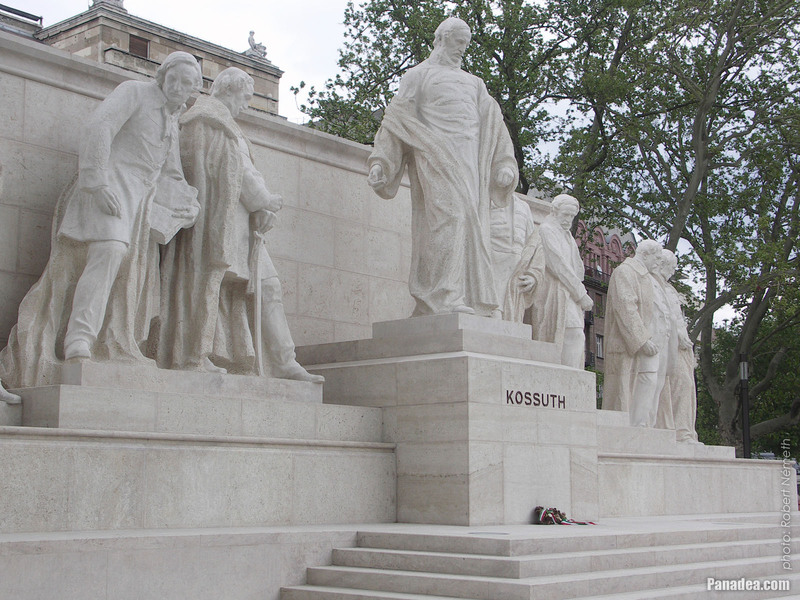 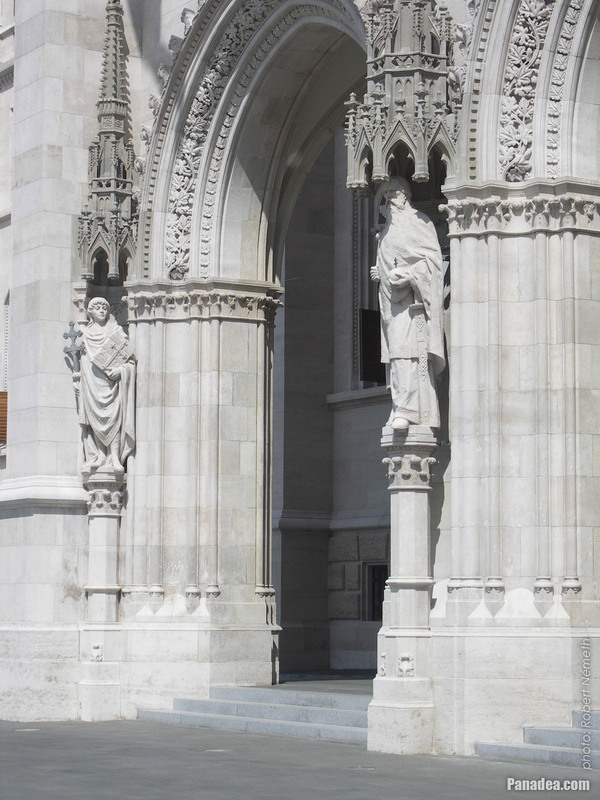 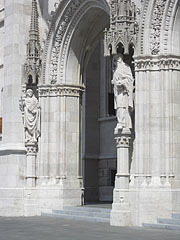 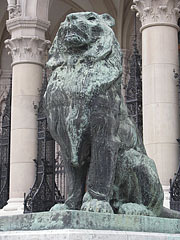 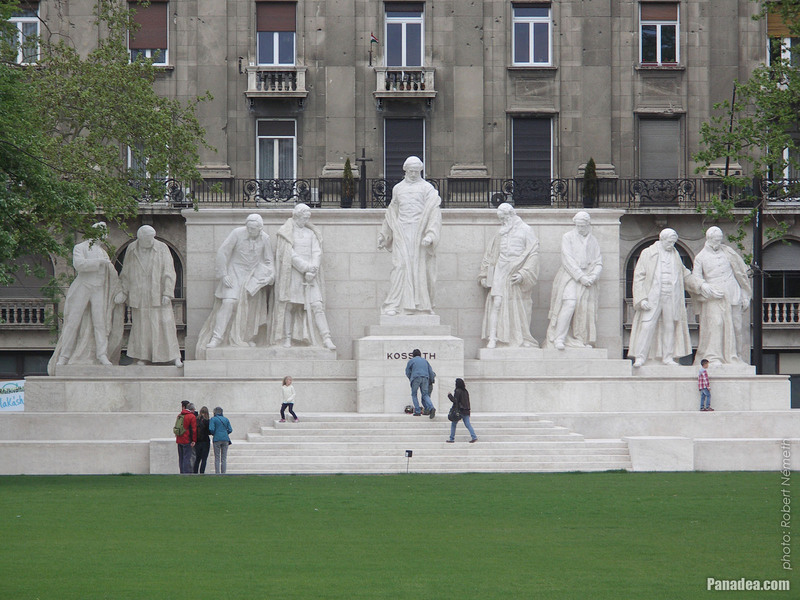 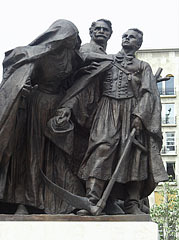 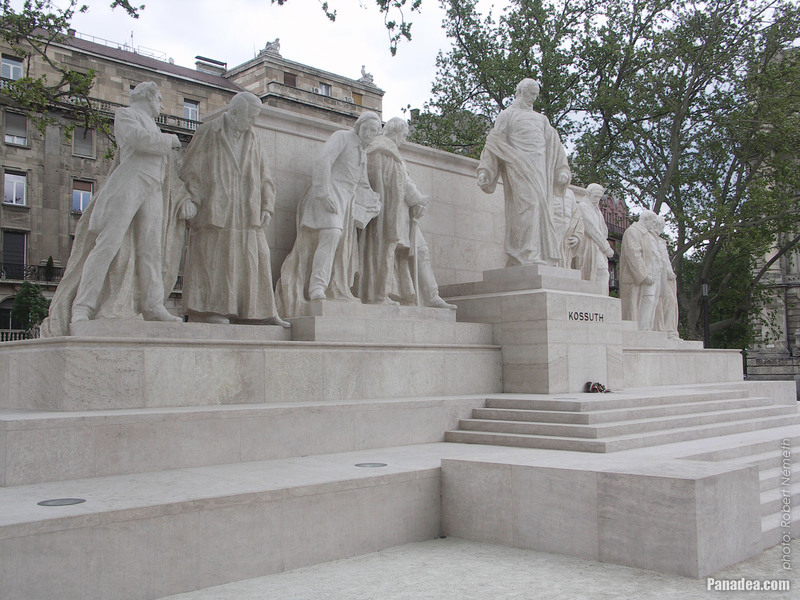 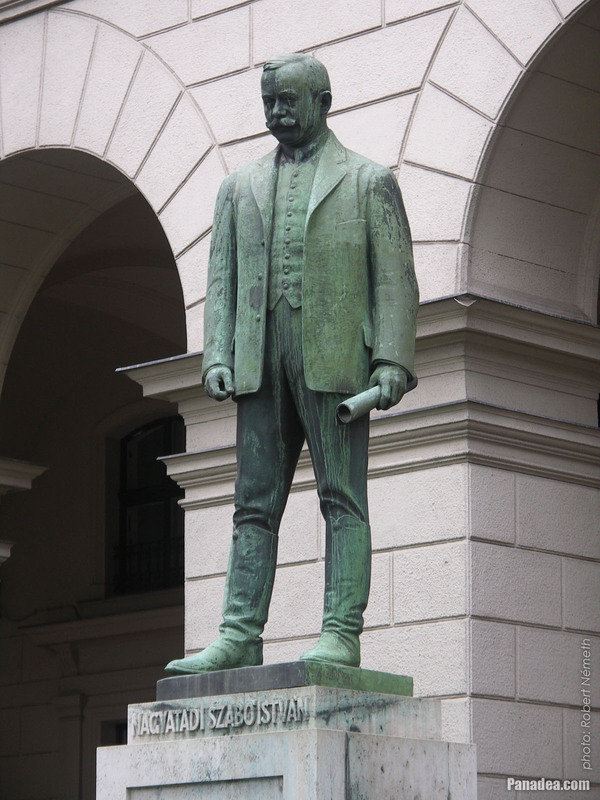 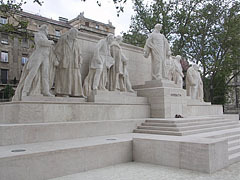 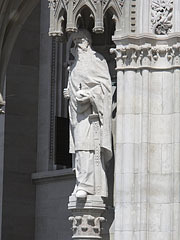 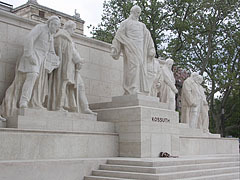 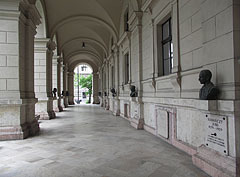 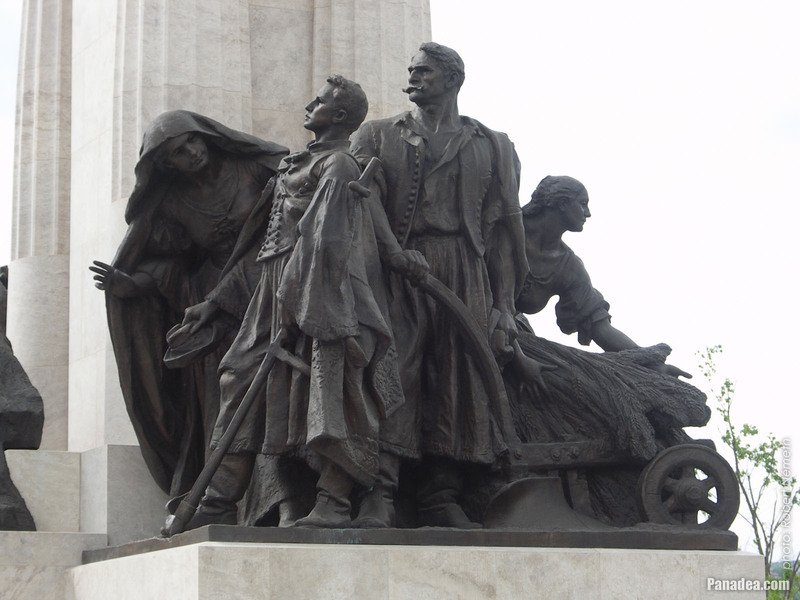 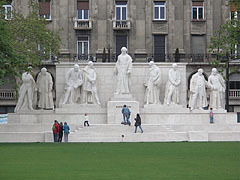 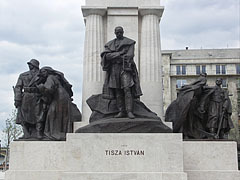 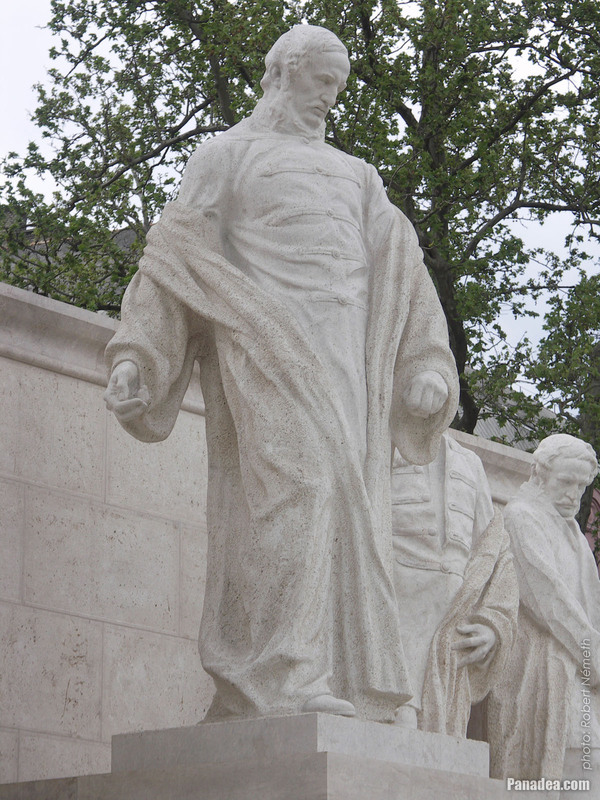 These were sculpted by Miklós Köllő Hungarian sculptor in 1896, together with the other page boy statue that is actually not on this photo. 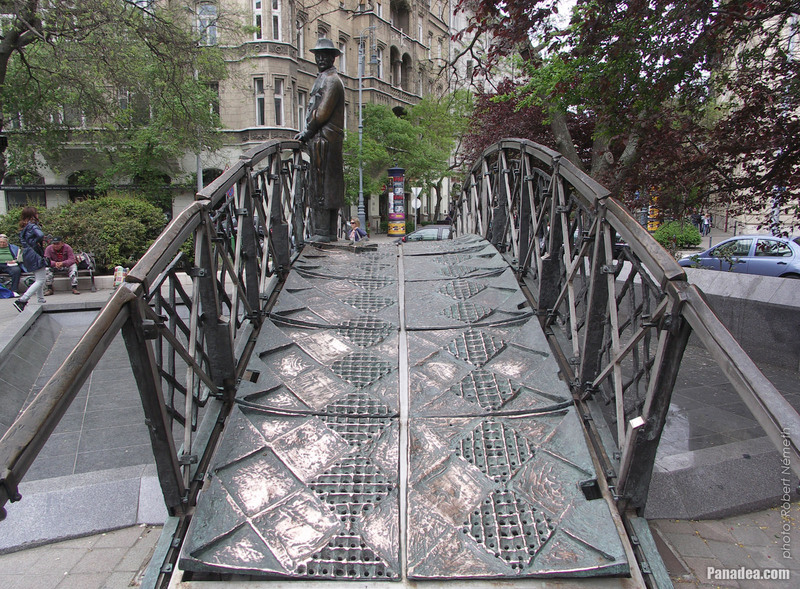 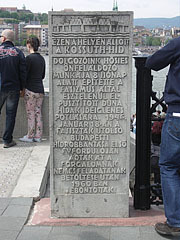 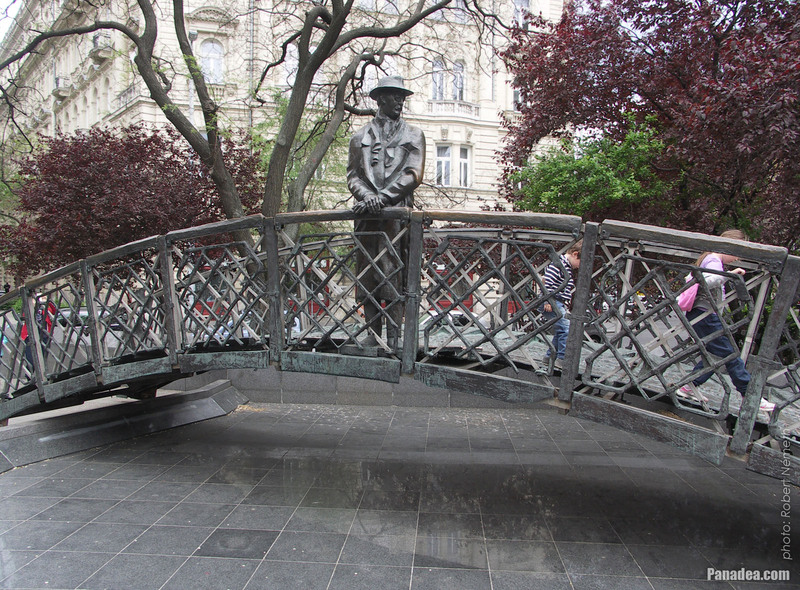 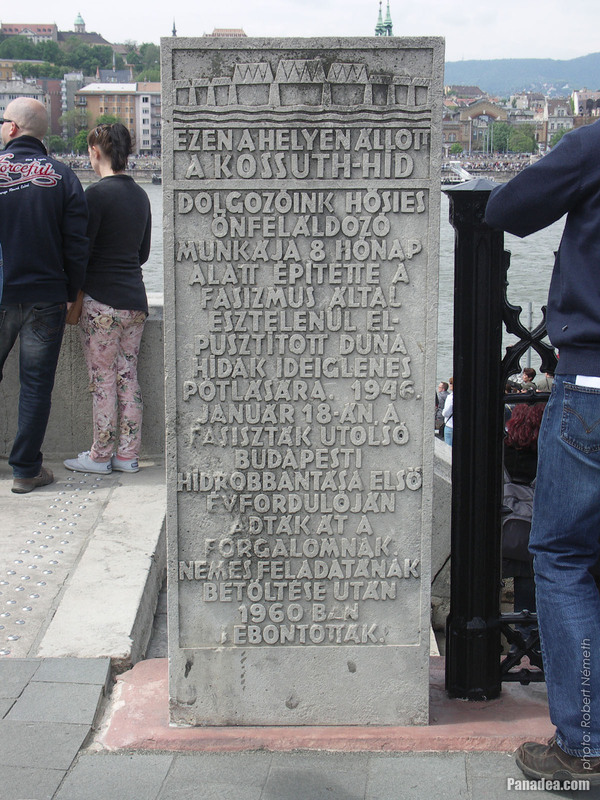 The temporarily established Kossuth Bridge was built up in just 7-8 months, it provided connection over River Danube between the Kossuth Square in Pest and the Batthyány Square in Buda between 1946-1960, as long as the other bridges that were blown up in the WWII weren't restored. 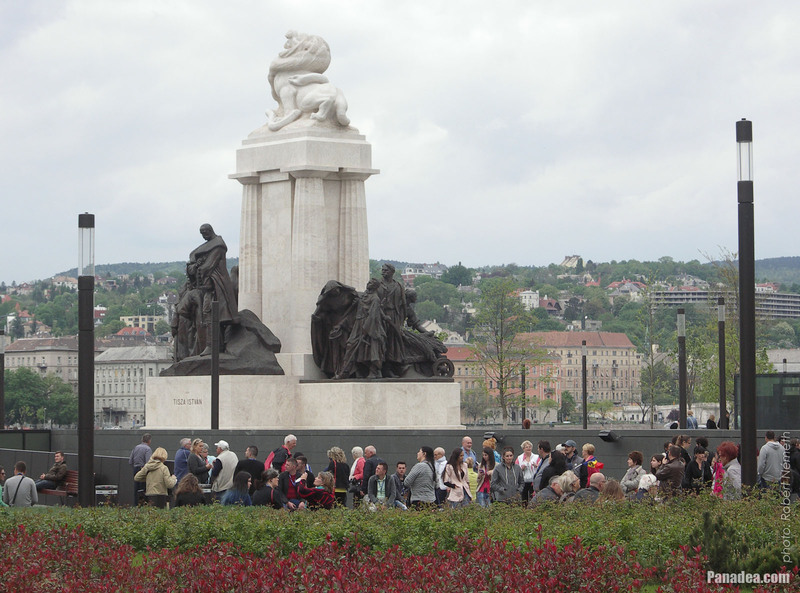 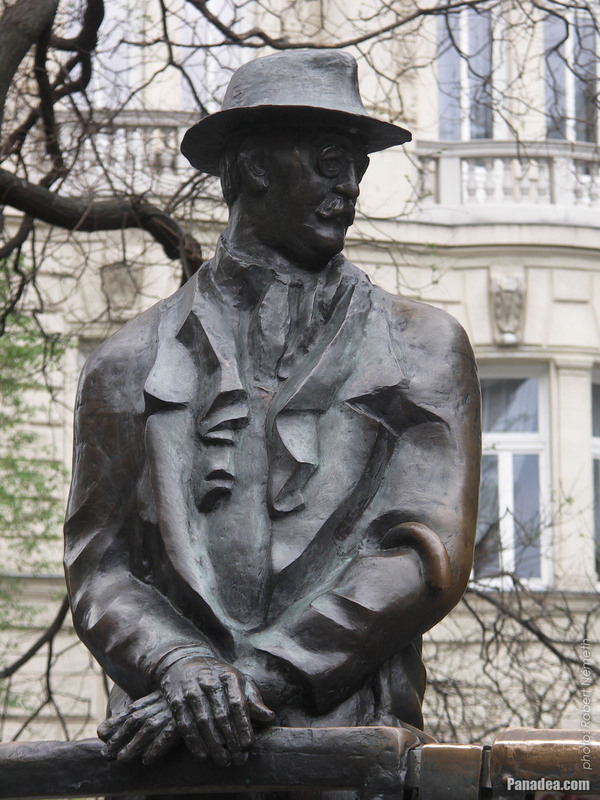 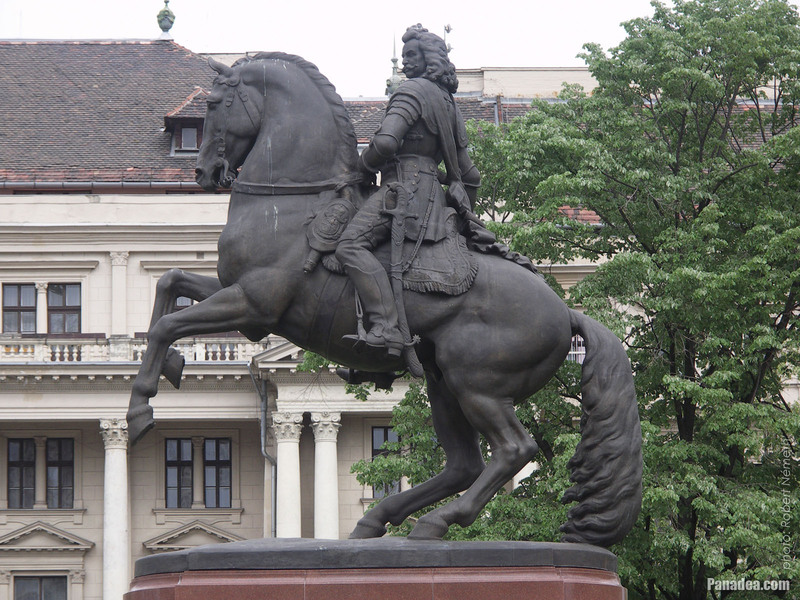 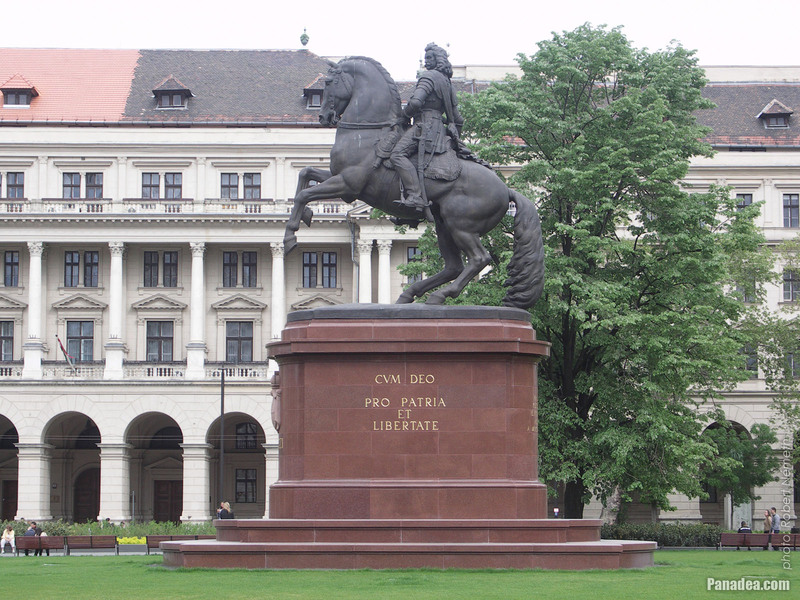 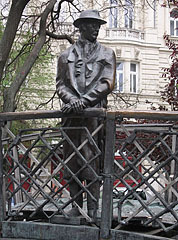 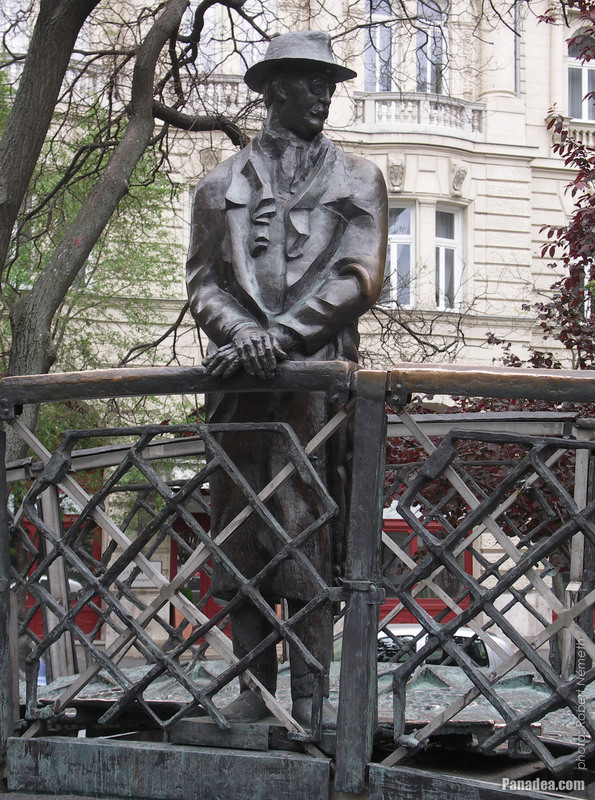 In front of it it is the statue of István Nagyatádi Szabó Hungarian politician in the park. 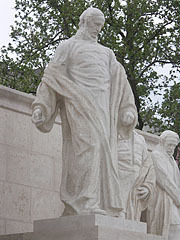 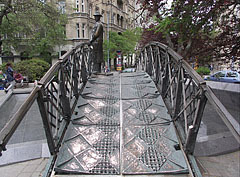 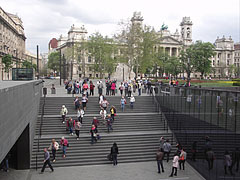 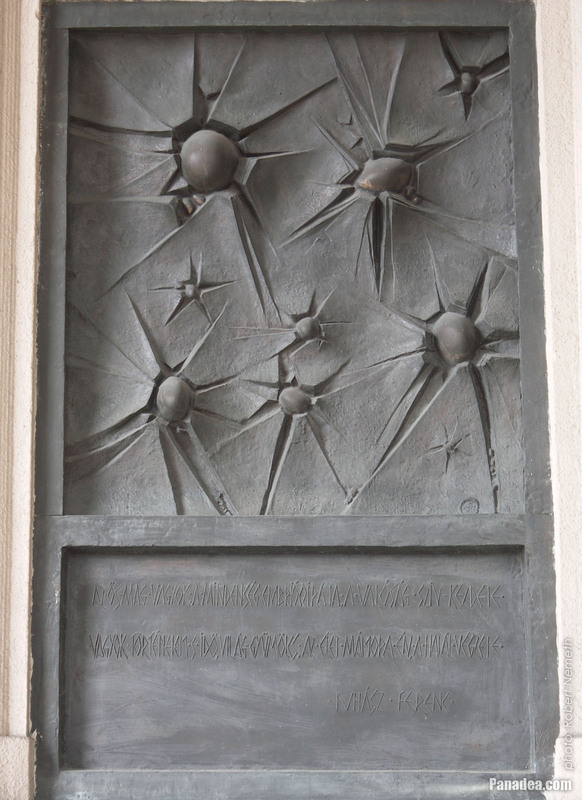 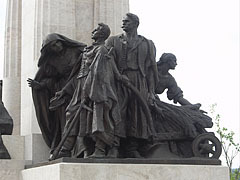 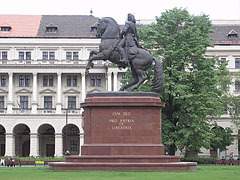 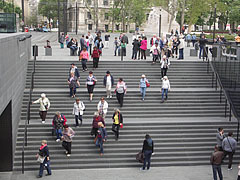 Created by József Kampfl sculptor and Ferenc Callmeyer architect in 2001. 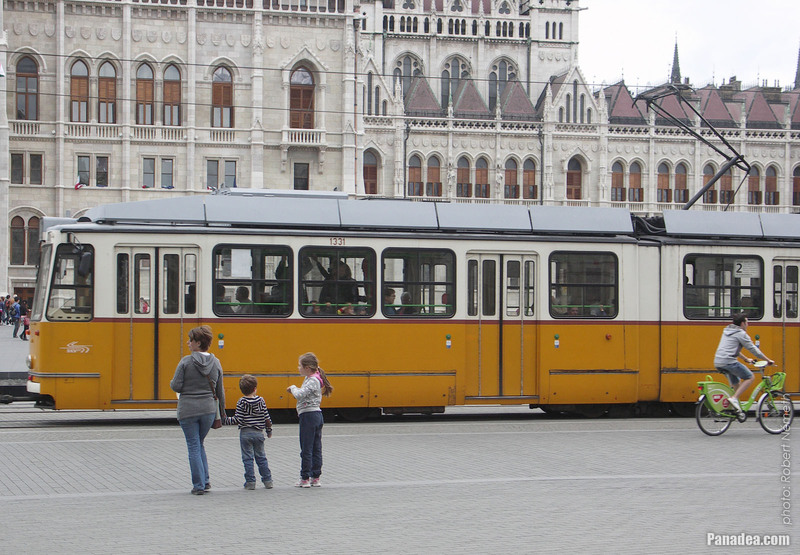 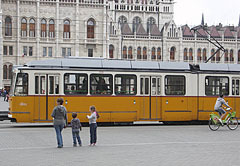 This one is a Hungarian-made Ganz tram car model. 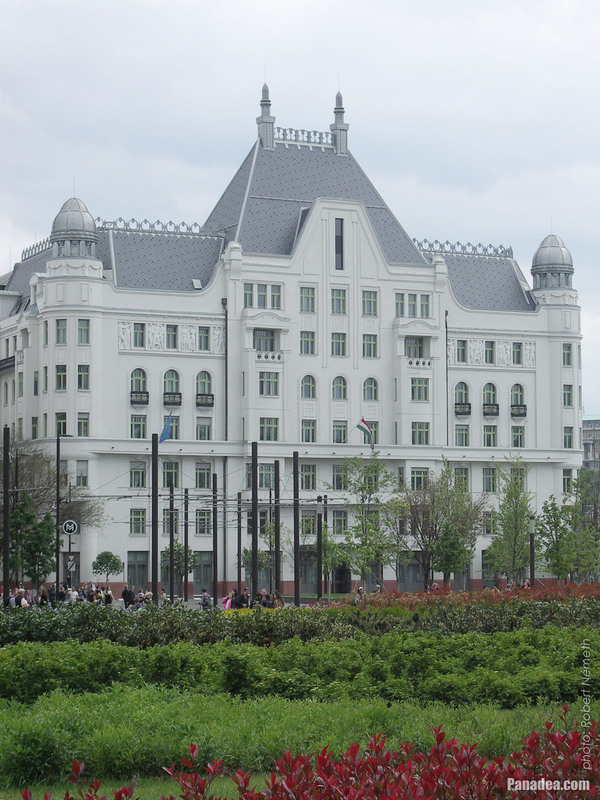 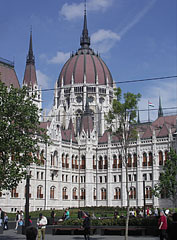 Designed by Sámuel Révész and József Kollár, built in 1911. 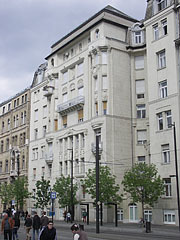 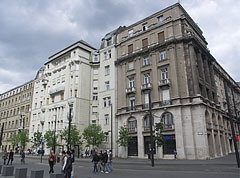 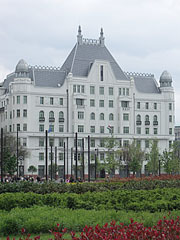 Built between 1927-1928, architect: Béla Málnai. 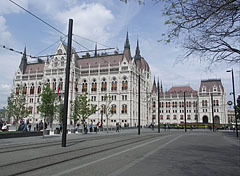 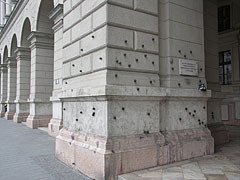 Formerly it was the building of the pension institution of the Hungarian State Mining Company (in Hungarian "Magyar Állami Kőszénbányák Rt. 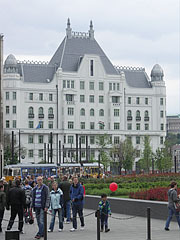 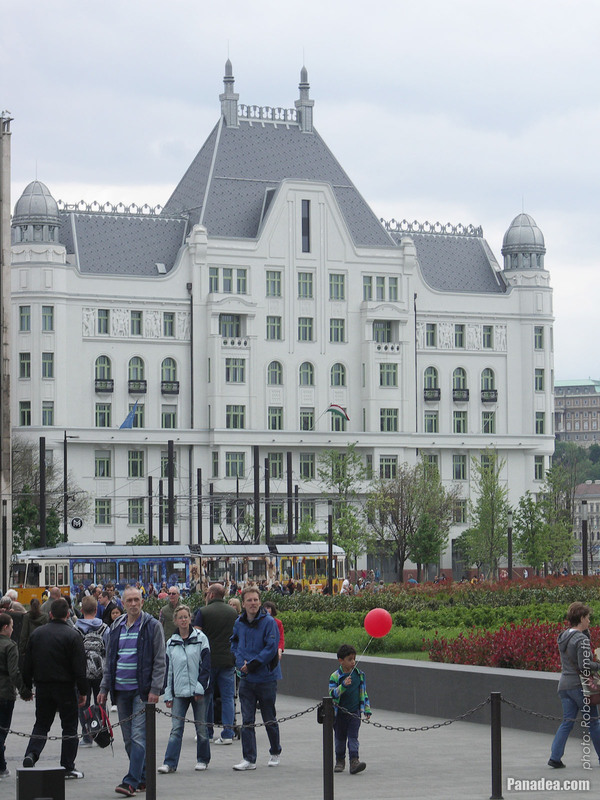 ", so that's why it is called MÁK Palace). 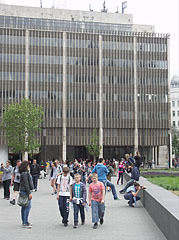 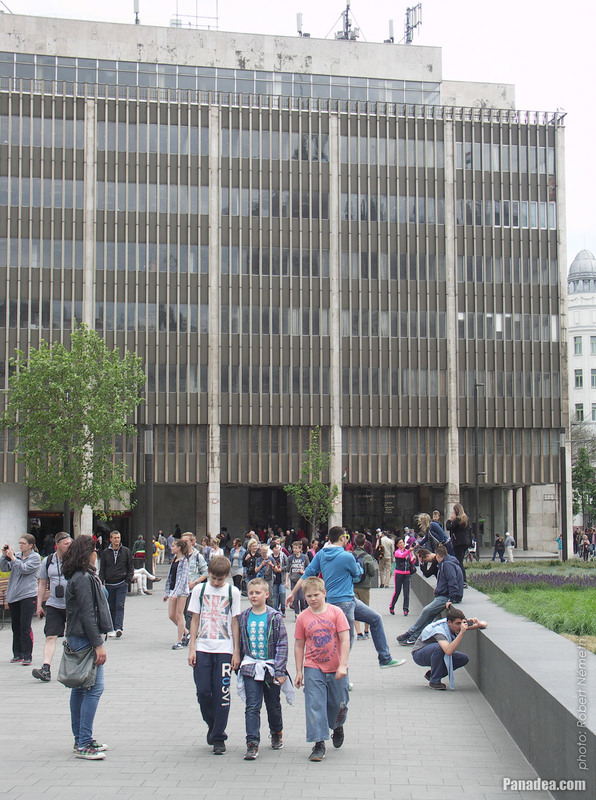 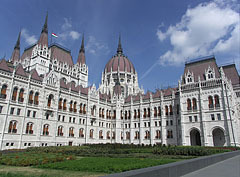 Allegedly it was designed higher, but it wasn't allowed to be higher than the Palace of Justice. 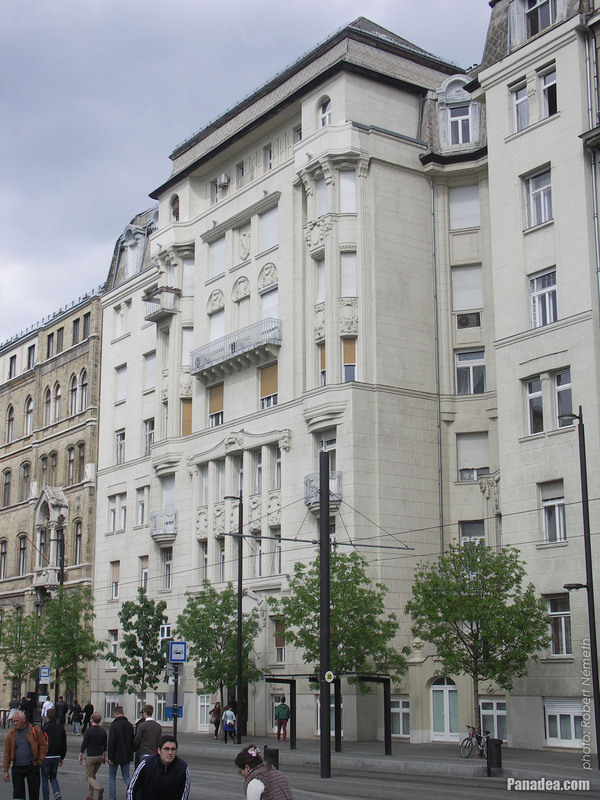 Here was the famous Elysée Coffee House from 1931 onwards. 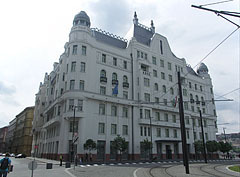 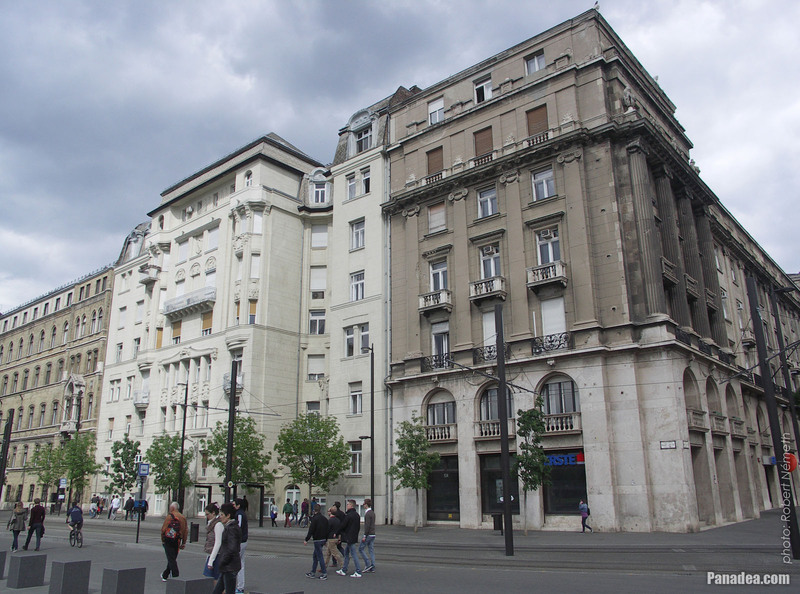 The eclectic or Art Nouveau style seven-storey apartment palace was designed by Alfréd Wellisch, built in 1911. 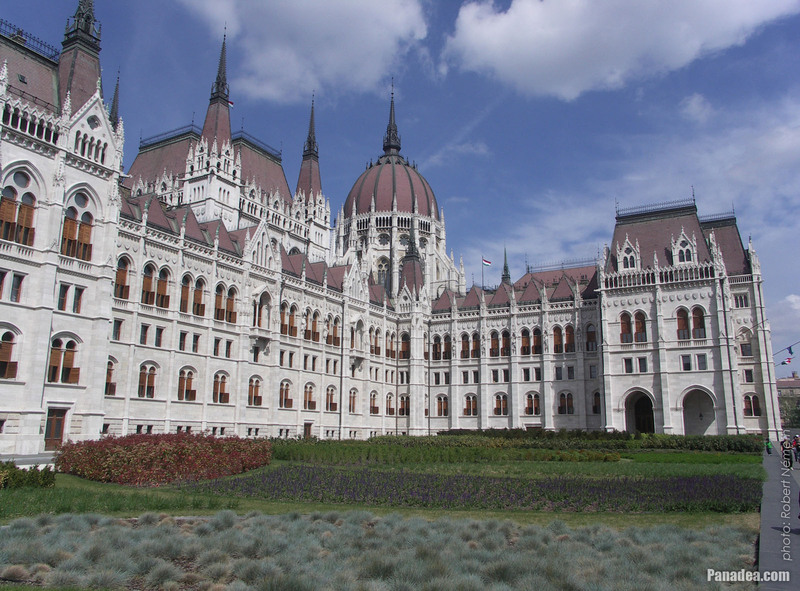 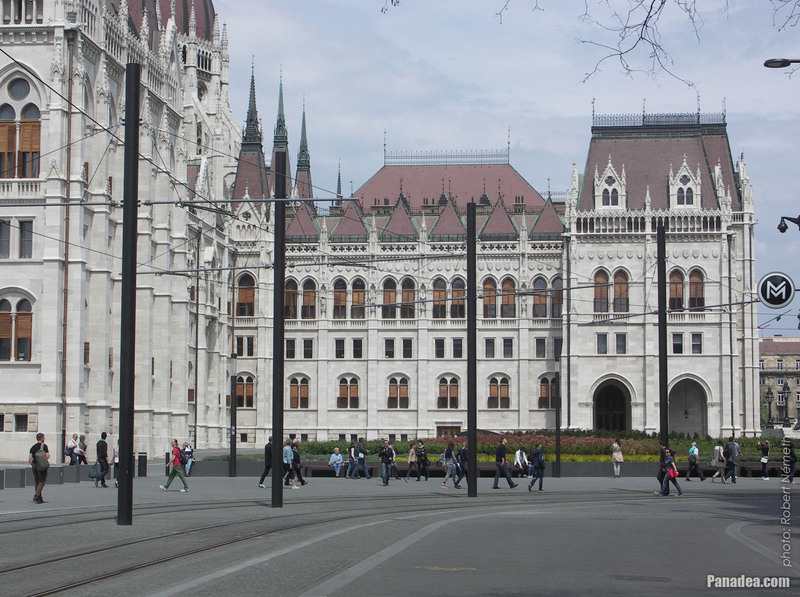 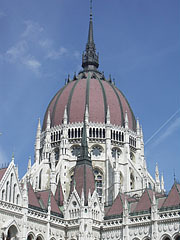 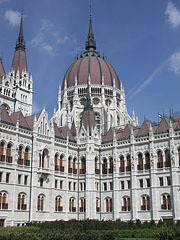 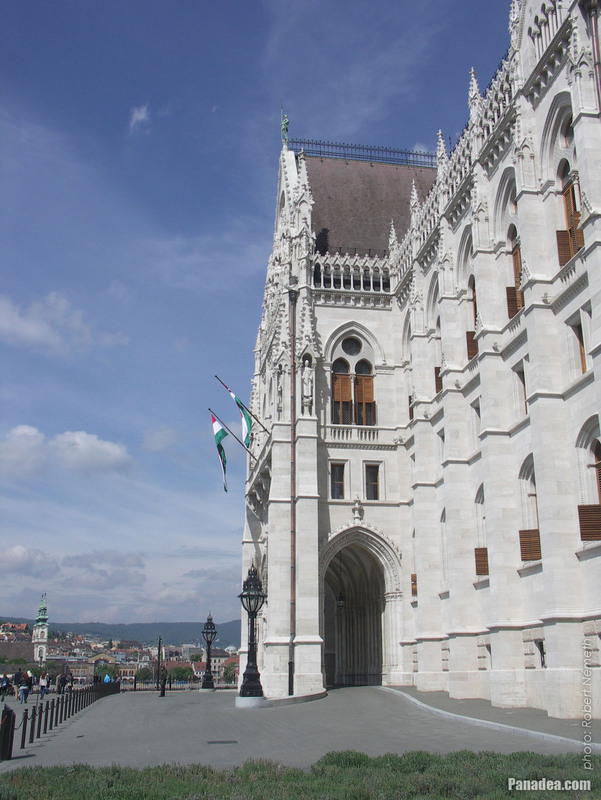 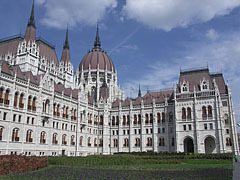 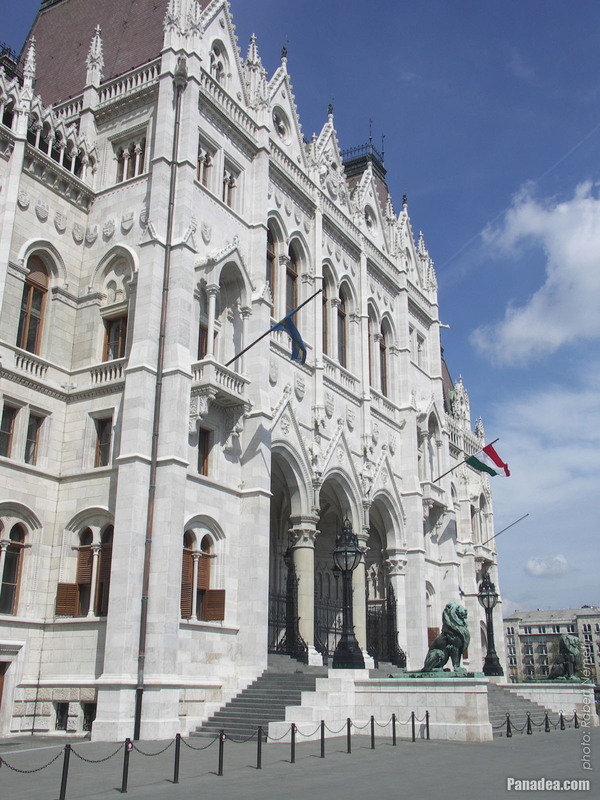 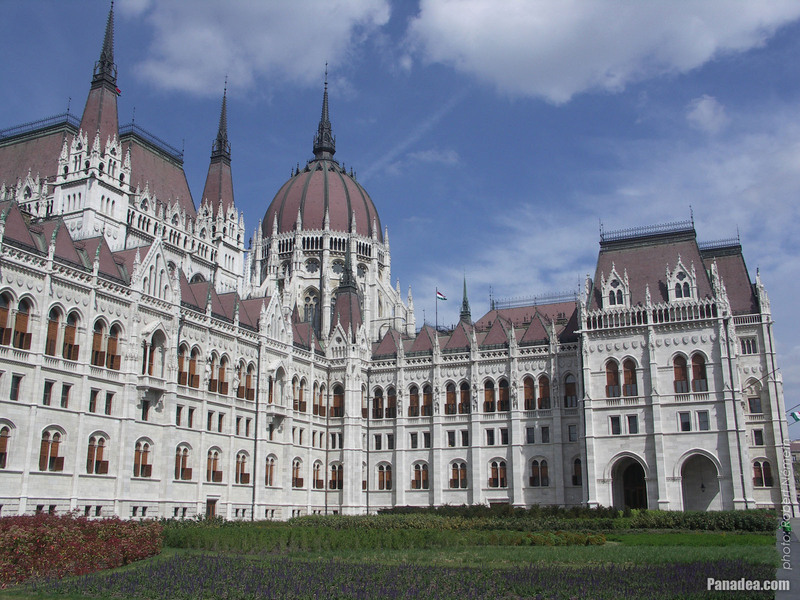 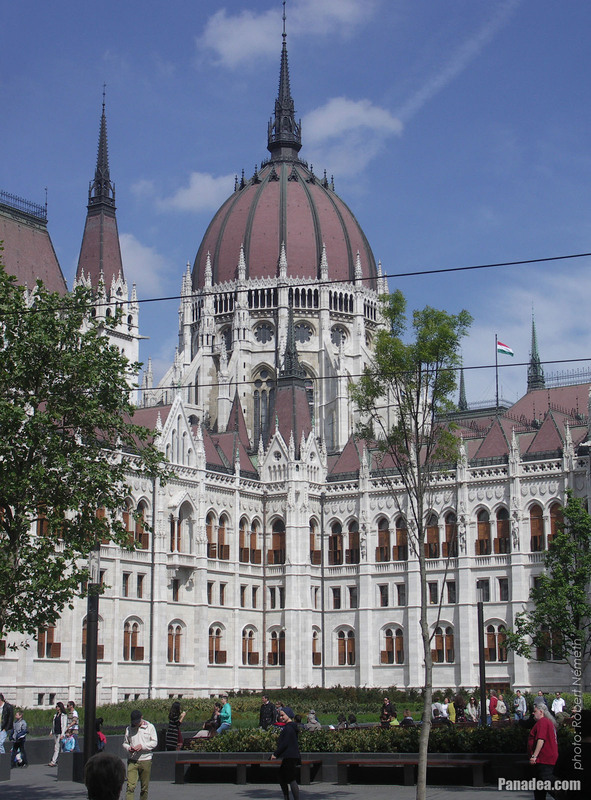 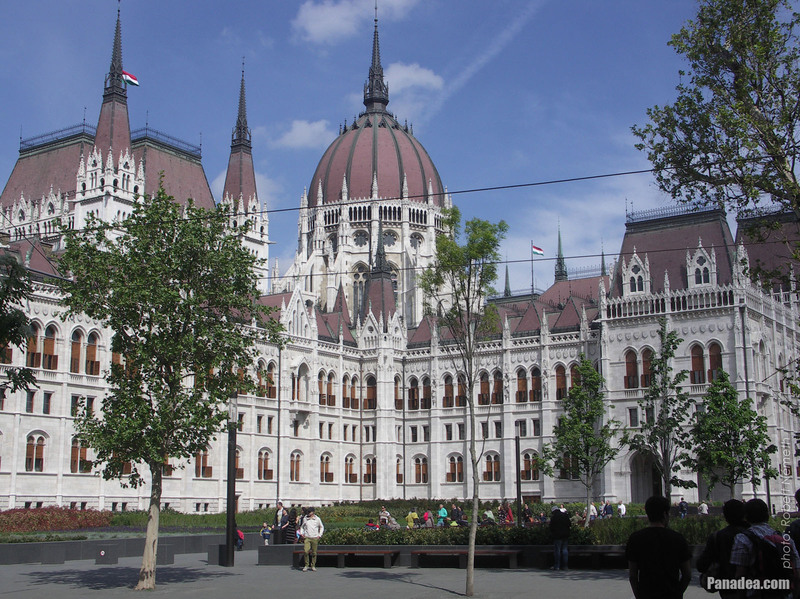 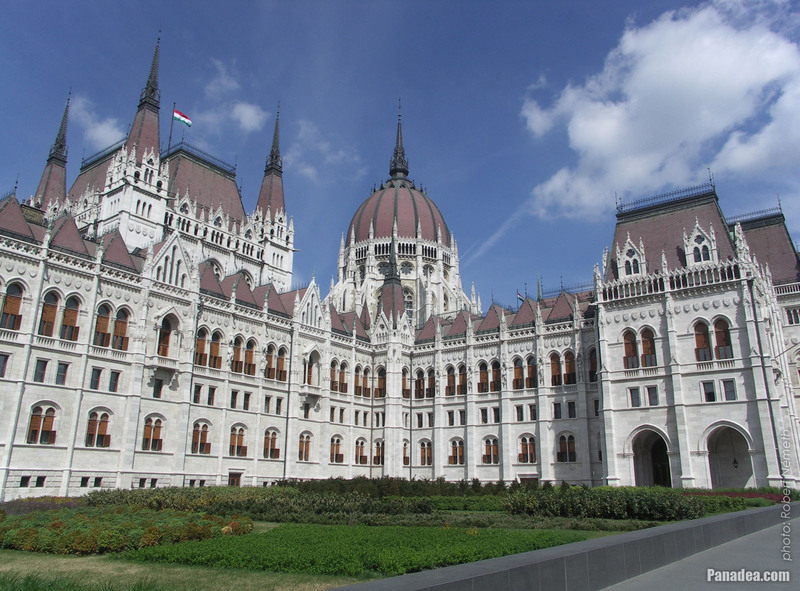 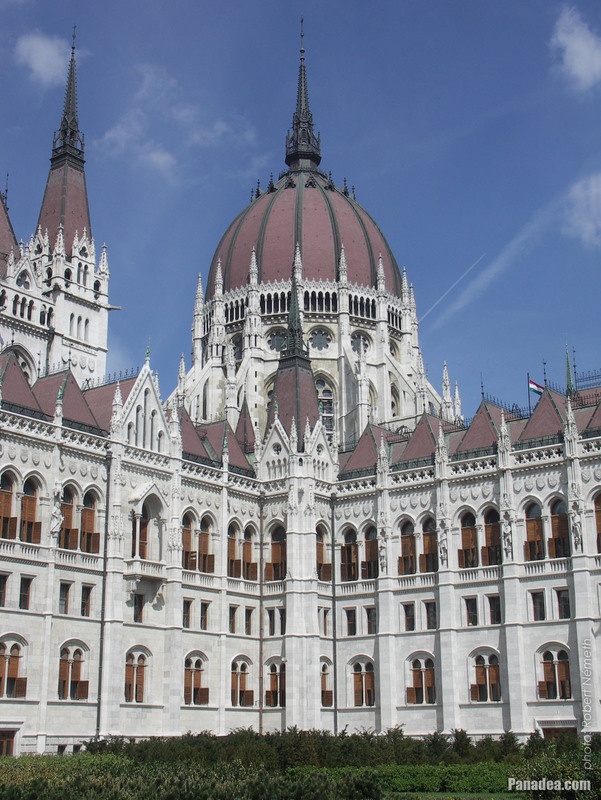 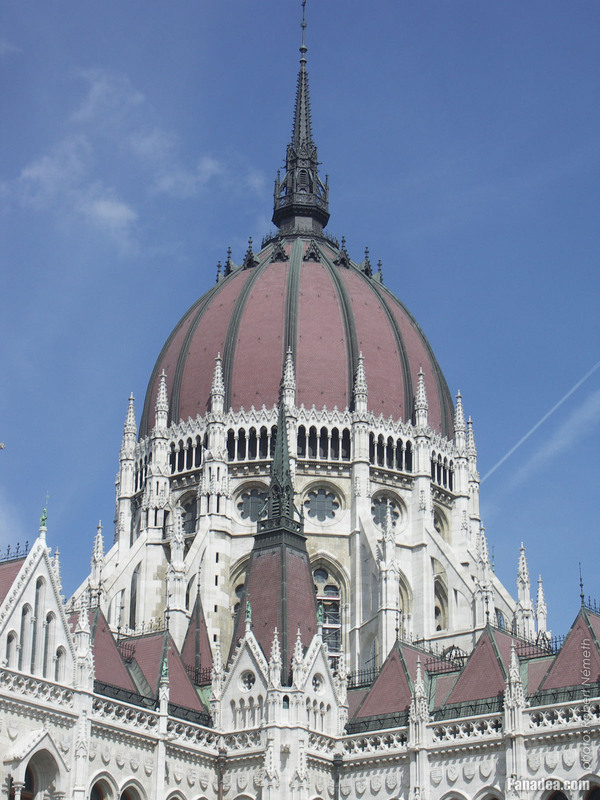 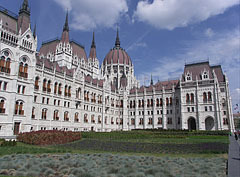 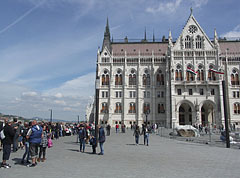 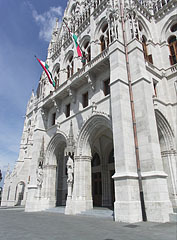 The size and proportions of the dome of the Hungarian Parliament Building ("Országház") are strongly reminiscent of the dome of a church in Vienna, Austria, close to the Westbahnhof railway station. 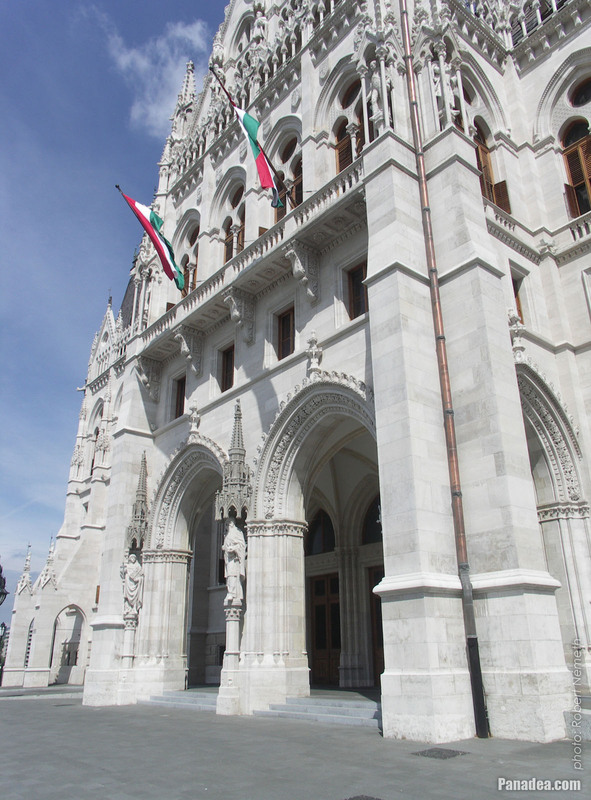 This is the Kirche Maria vom Siege (Victorious Mary's Church), built between 1868-1875, designed by Friedrich von Schmidt, who was also the master of Imre Steindl, the architect of the Hungarian Parliament Building. 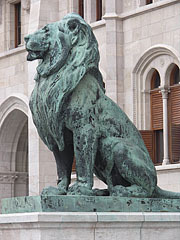 So the stylistic similarities probably due to this fact.